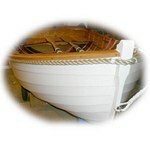 More Project Boats by Proud Wooden Boat Lovers. 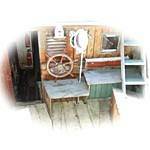 Here are some more Project Boats that wooden boat enthusiasts like us are working on. Seeing what others are managing to do is always a great inspiration. "Endil" is an Oakleaf 28 built by Sutton and Smith in 1972. Allan in Richmond, TX, is restoring a 1956 "Yellow Jacket" that he found in a barn. 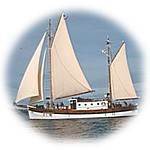 "Cresset" is a 40 foot, 1929, cutter, She is now being restored by Trevor in BC Canada. 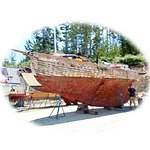 A John Atkin 'Maid of Endor' gaff sloop being rebuilding from derelict by Robert in BC, Canada. 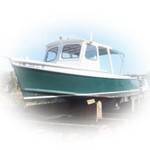 is a 1957 32' Chris Craft Commander recently acquired, for free, by Russell in BC Canada. The "MOANA NUI" Project aims to build some ancient Polynesian catamaran replicas with which to make an expedition across the Pacific. 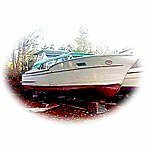 This 29' Chris-Craft Cruiser has been completely stripped down, her wood has been bleached, sanded, stained and re-varnished. Mattâ€™s first boat build using the free "Mustang" plans from the â€˜Boat Builders Handbookâ€™. 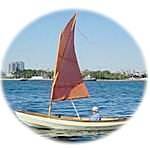 Two stitch and glue boats, a "Chesapeake Light Craft Skerry" and an "Apple Pie" dinghy built by Christine in Toronto. 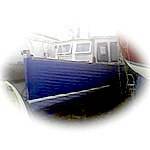 Fish in the UK has just bought this 25ft old clinker fishing boat. 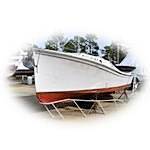 "Salty" is a 1960 Wooden Harkers Island Net Boat "on the Comeback" in North Carolina. 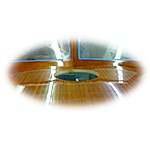 This 1960 32 FT Chris Craft Constellation with flight bridge has been wonderfully restored by Bryant in Long Beach. 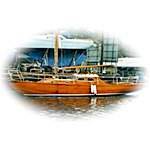 This traditional Kinderdijker hoogaars has been built by AndrÃ© in Winsum in the Netherlands. 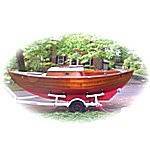 This traditional Kinderdijker hoogaars has been built by André in Winsum in the Netherlands. 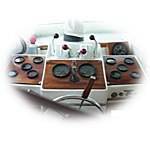 "Cholita Mia" is a William Atkin designed 32' cutter, based on the famous Colin Archer designed Norwegian rescue boats. 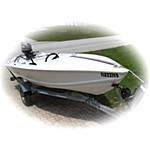 1961 Skee Craft runabout ? 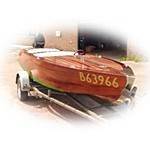 Dennis, in Belgium built his superb Side by Side, Mahogany Plywood, Runabout using plans from Sandypoint Boatworks. 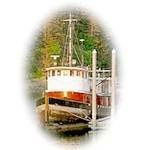 This 28 foot, Classic, Wooden, Alaskan, Fishing Boat has been rescued by Jan, ‘cause it just didn't seem like her time was done yet. 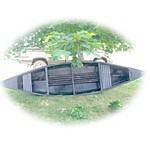 was acquired by Theo when he repurchased an old family floating boathouse on the Tennessee River in Alabama. 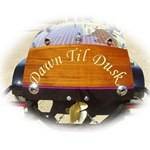 “Miss Janet” is a ‘Chesapeake Bay Deadrise’, built in 1979 by Fred Ajootian in Ocran, Va.
“Faro da Magia”, Andrew’s plywood Malahini successfully launched. 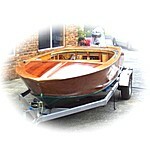 Howard in Virginia is installing electric propulsion in his delightful, 20', clinker built, cedar on oak frame "Sigi". 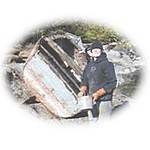 Rosalind in Canada is about to begin restoration work on "Hannie", a clinker built, 32' Ex Canadian navy launch. 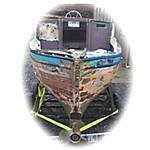 Ann Marie found this double ended, carvel built, project boat, under thirteen layers of paint in Co. Clare, Ireland. 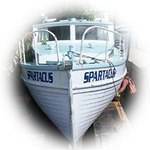 “Troll” is a 1965 King's Cruiser 28, being restored by Peter on the beautiful Island of Corfu. 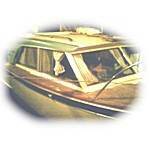 A Classic Boat found in a barn and acquired for free! 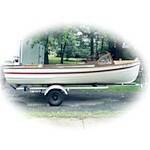 Keith’s Penn Yan Captivator find must be the Classic Boat enthusiasts dream come true. 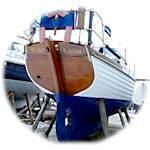 “Alti” is a is a superb example of a 29 foot Kings Cruiser at present being restored in Copenhagen, Denmark. 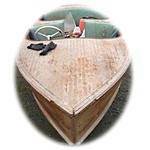 This superb 8ft ‘Squadron’ Clinker Dinghy has been built by Mick in Pauatahanui Inlet, Porirua Harbour, New Zealand. 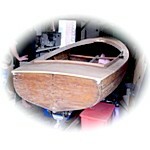 A wooden canoe bought at a garage sale. 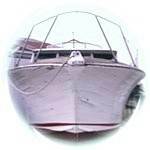 "Illusion" is a 100% original, 1958, 35ft, Constellation Bullnose. When she is not being restored she spends her time travelling between Lake Erie and Lake St Clair. 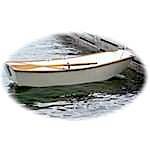 “Norseman” was originally built of double diagonal teak on oak frames as a 45ft naval steam pinnace. 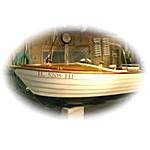 She was decommissioned around 1923 and then converted into an “Edwardian” Classic Yacht. 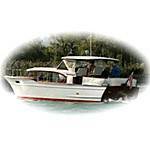 “Vixen” is a 76 year old 27ft Williams built gentleman’s day cruiser. 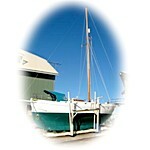 And the gentleman who now owns and cherishes her is John in N.S.W Australia. “Ebony Queen” is a 1953 ‘lap streak’ made by Hubert&Joshson, that Gerard has been restoring for the last four years, in Bellmore, New York. 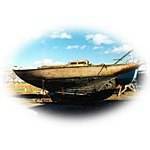 "Sara B” is a 47' Tancook Schooner, bought on eBay and now under restoration in Little Sodus Bay, Fair Haven, NY. 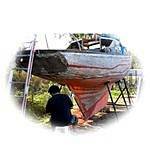 Anyone got any advice for Larry in Florida who is rebuilding “Descanse II” his 1968 Chris Craft Constellation. New Zealander Sam realizes his youthful dreams in the form of a 1964 40 ft Carvel Kauri Yawl which is in need of a refit. This beautiful old Australian lady is over 130 years old. 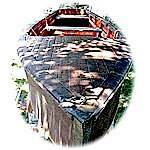 She was built in about 1876, originally steam powered, but now has a ford lees. 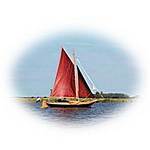 “The Atlantis Adventure” sailing ship is a 100 years old ex Norwegian fishing boat being restored by Anne Barr in Baltimore Ireland. 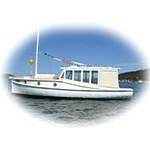 Cotton Top is a one off, custom built in 1984 In 2008, she won "Peoples Choice" award at the International wood boat show in Coeur d Alene, Idaho. 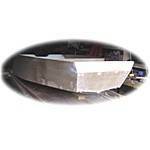 A project boat to be truly proud of. 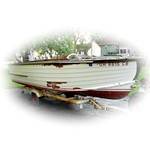 Can anyone help Bill to identify his 16', 1920's, Wooden Row Boat? Could she be a very early Dunphy, Century, or Chris Craft? The "Tugboat Challenger", whose keel was initially laid in1944, in Wilmington, CA is now being refurbished in Juneau, Alaska. Rosie, Dennis’ 14 ft runabout which needs a bit of work. 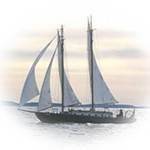 "Lindy" will soon be sailing to her home to port of Juneau in Alaska. 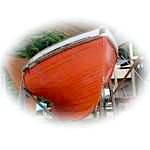 She has been restored to her 1944 glory by Bill with help from the students and instructors at the North West School of Wooden Boat Building at Port Hadlock, Washington. 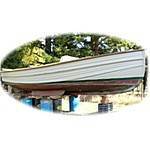 Lee has just put a deposit his first boat ever, a 1963, 40', Owens Tahitian. 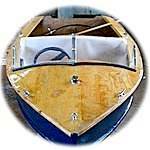 Tony, in Cooroibah Queensland OZ, is building a small Marine ply dinghy to his own design. 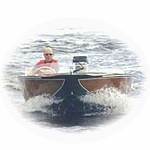 Despite being permanently disabled, Mike is about to begin working on his 1954 Whirlwind 15' mahogany boat. Kenny’s “Uncle Joe”, a 1958 14' Mohawk, has always been one of the family. 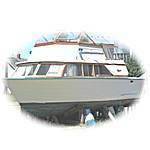 This 1947 Chris Craft Express Cruiser is being restored by Philippe, in Long Beach California. The latest from Andrew in Hobart, Tasmania on his Malahini. 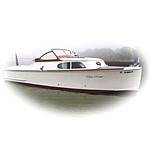 Missy has just bought this superb looking, 1962 Youngquist cruiser. The question is, should she or shouldn’t she have taken her checkbook with her when she first went to look at her? 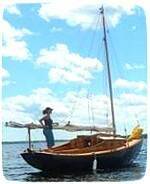 The Thousand Islands of the St. Lawrence River is now home to this delightful Sam Rabl designed Picaroon II. 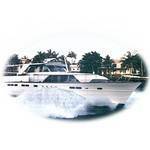 This classic motor yacht was built in 1960 and refitted in 2007.